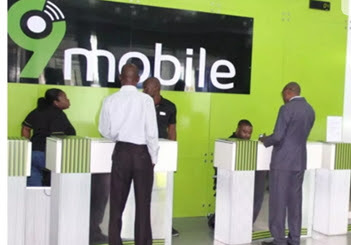 Hello guys, after last year’s sales saga of one of Nigeria’s major GSM network operators in the country that saw Etisalat transformed to 9Mobile brand, you are about to witness another transformation from 9Mobile to Teleology as the Telecom firm, Teleology Nigeria Limited has announced a new Board of Directors for 9Mobile. This is to mark the outright acquisition of 9Mobile by Teleology Nigeria Limited after the former Board set up by the Central Bank of Nigeria (CBN) completed its tenure having operated under 9Mobile. And having been completely certified by the Nigerian Communications Commission (NCC) following the official hand-over of 9mobile to the new owner, what that entails is that in the coming months the 9Mobile brand in the Nigerian mobile telecommunication space will begin to fade away and Teleology will eventually become the new brand that Nigerians will start to familiarize themselves with just like the former household name Etisalat and what we have today in other telecom unit as MTN, Glo and airtel. The new board members included Nasiru Ado Bayero, Chairman; Asega Aliga, Non Executive Director; Adrian Wood, Non Executive Director; Mohammed Edewor, Non Executive Director; Winston Ndubueze Udeh, Non Executive Director; Abdulrahman Ado Executive Director and. Stephane Beuvelet who is the acting Managing Director. According to Teleology, issuance of final approval of no objection by the NCC, means that the technical and financial bids Teleology submitted for 9mobile met and satisfied all the regulatory requirements. One of the new board members, Mr Mohammed Edewor, said Teleology is pleased with all out-going members of the Board for helping to shepherd 9mobile through the critical transition phase it has passed through since July 2017. He said: “For us, the composition of the new Board of Directors is another significant milestone, and this follows the issuance of final approval of no objection by the Board of the Nigerian Communications Commission (NCC) to the effect that the technical and financial bids Teleology submitted for 9mobile met and satisfied all the regulatory requirements. This is indeed the dawn of a new era in the evolution of the 9mobile brand in the Nigerian market. Teleology had on March 21, 2018 paid the initial $50 million non-refundable deposit as a demonstration of its commitment to acquire 9mobile and was given a 90-day timeline to pay the balance having emerged the preferred bidder following the evaluation of the technical and financial bids for the telecom company. The recent development is still a reminder that the only constant thing in life remains change and looking backward in the Nigerian telecommunication journey, you will clearly notice that this is not the first case where we are witnessing change of ownership and brand names of telecoms multiple times within short successions and the first to hit the mind was that of Econnet wireless firm and the former owners of today’s Airtel that went through series of transformation, starting with Econnet to V-Mobile to Celtel to Zain and to what we now have as Airtel Nigeria. We also have the defunct NITEL telecom in the country transforming from NITEL to MTel and now to Ntel. But we all hope that the recent acquisition of 9Mobile by Teleology Nigeria Limited will encourage a massive boost in the services rendered to current 9Mobile subscribers by the new firm and also create a level playing ground with other competing telecoms.